The RV resorts and campgrounds of Encore and Thousand Trails salute the United States and Canadian Armed Forces by offering a discount to all active and retired military personnel. Use promo code MILITARY20 to get 20% off nightly rates for up to 6 nights. 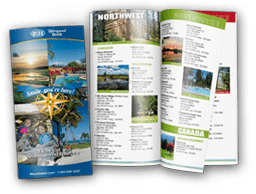 The offer is good at Encore and Thousand Trails RV sites and rentals across the country. *Discount valid on daily rates for RV sites and rentals up to 6 nights. Proof of military service required at time of check-in. Valid for active and retired military personnel. Use promo code MILITARY20.